Did this athlete move from a National level to a Provincial level? If an athlete moved to a Provincial level after registering as a National level athlete, check this box and the difference of $20.00 will be refunded. 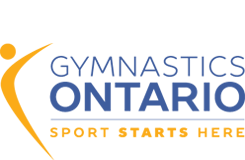 An athlete is only eligible for a refund if they do not compete at all three (3) Ontario Cups. The refund request form must be submitted no later than the two (2) weeks after the last Ontario Cup to be processed. Forms submitted after the deadline will NOT be eligible for refunds. FORM MUST BE SUBMITTED BY CLUB CONTACT OR COACH.